People often use the terms "corn muffins" and "cornbread muffins" interchangeably when trading recipes and cooking. Corn muffins refer to the an actual muffin recipe, while cornbread muffins can refer to how cornbread is shaped. Cornbread is traditionally cooked in a sheet pan, cut into rectangular blocks and then served; but some recipes give instructions for making cornbread in muffin pans. Corn muffins and cornbread muffins make a good addition to any meal, either as a sweet dessert or a side dish. 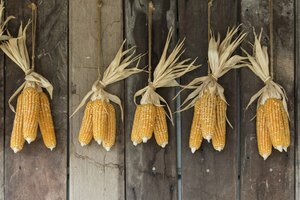 Most traditional corn muffins contain corn, cornmeal, water, butter, flour and generous amounts of sugar. Some people sweeten the corn muffins further with honey, pumpkin, yogurt and vanilla extract. 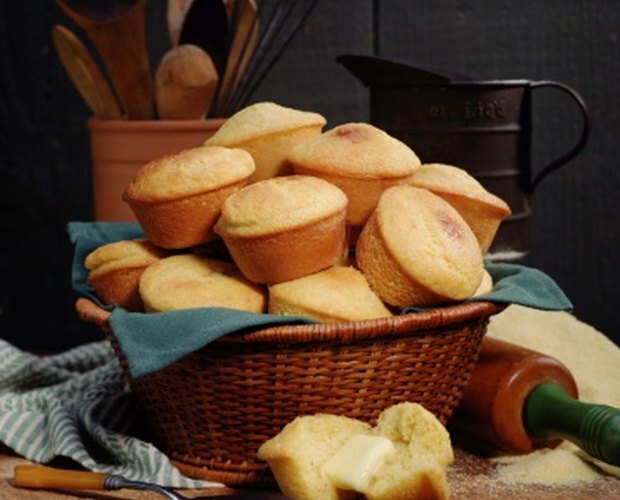 Conversely, cornbread muffins are traditionally made with cornmeal, water, butter and flour. 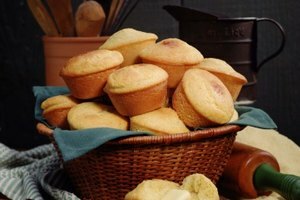 Corn muffins are sweeter and are more often eaten as a dessert, while cornbread muffins are often made from a sheet and cut into squares. Cornbread muffins are sometimes topped with butter and served with dinner. There are far fewer historical references to corn muffins than cornbread itself. 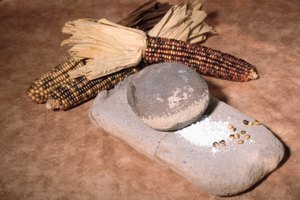 For instance, cornbread was first used by Native Americans, as many of their recipes used corn and cornmeal. 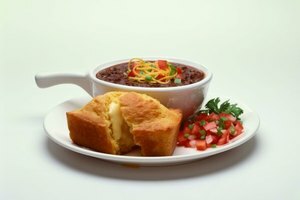 Residents of the South used cornbread during the Civil War. In addition, cornbread is used in traditional African-American soul-food dinners served with meat for many holiday celebrations -- dinners that feature turkey at Thanksgiving or ham for Easter and Christmas. 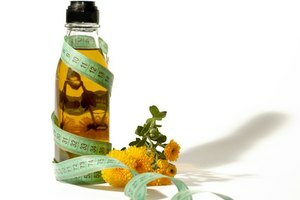 Premade recipes for corn muffins are more readily available and much more popular than cornbread muffins. For most of the recipes, you add water, stir and bake the muffins until they are ready. For busy, working individuals, this is an economical and straightforward way of baking goods for the family.